Well what a week it has been, I seem to be chasing my tail rather a lot these days!! 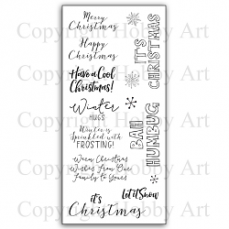 It was so lovely to spend time with you all and get into making Christmas cards, yes I can hear you now saying 'But it is only September and it is still too warm to think about Christmas' but you know I am right when I say it comes round all too quickly! 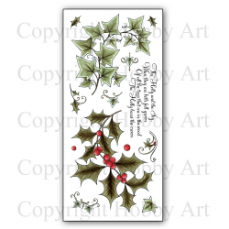 So it is good to get started early, I am always behind when it comes to making all my Christmas cards, so even I am going to start early this year! 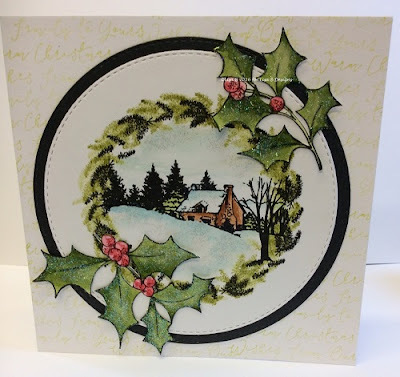 So this month was to focus on the gorgeous new designs from Jenny Mayes at Hobby Art and I know a lot of you loved them as you bought them at the class. 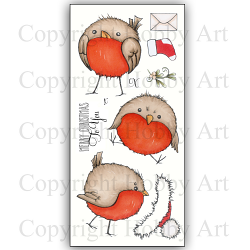 Now these lovely little plump round robins looked to me like they had a had a little too much to eat and drink, so I thought it would be great fun to do a penny slider card with them. 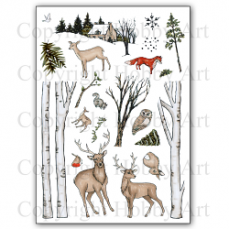 I must admit, I hadn't made one in quite a few years so I had to get my thinking cap back on to how I used to make them! I was lovely too as quite a few of the ladies in the class had never made one and it is great as your first slider is always so novel and great fun but you usually wear it out before you give it to anyone!!! We also used the Spectrum Aquas to colour in these images. P.S Just to let you know that Kirsten and I are taking Lisa B Designs on the road. 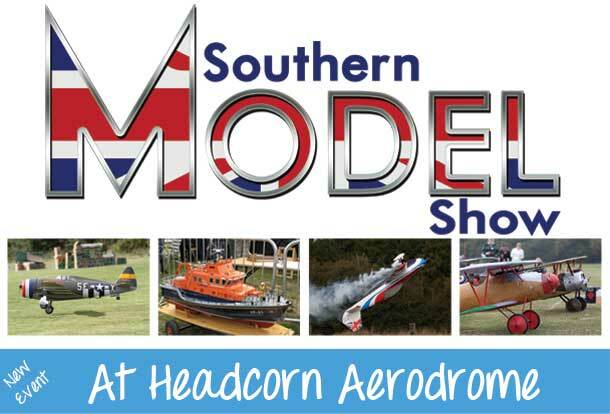 We will have a stand at the Southern Model Show this coming weekend in the Craft Marquee at Headcorn Aerodrome. Designs by Georgina will also be attending the event. 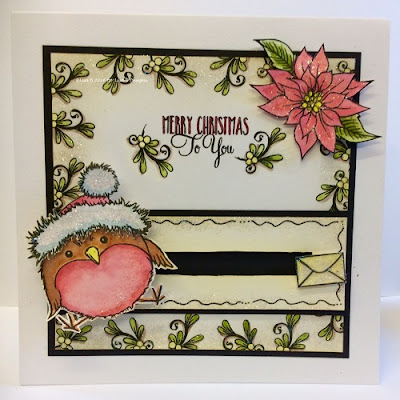 I will be demoing That's Crafty acrylic stackers with lots of stamps and Imagination Crafts Starlight Paints. 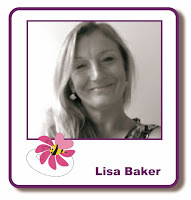 Great class Lisa, what would I do with all my Friday night friends who try their hardest to keep me on track. 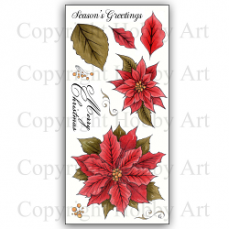 Really lovely cards! That little robin is so cute.